Happy New Year to you all!! This is my first post back in a LONG time. Sorry about that! 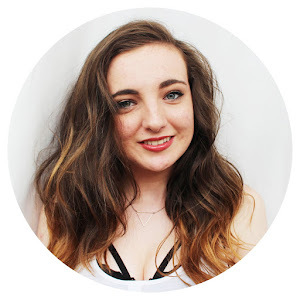 I'm thinking of writing a blog post on why i've been so inactive on the blogging world, but it would get very personal very fast so i'm unsure whether i'm ready for that. 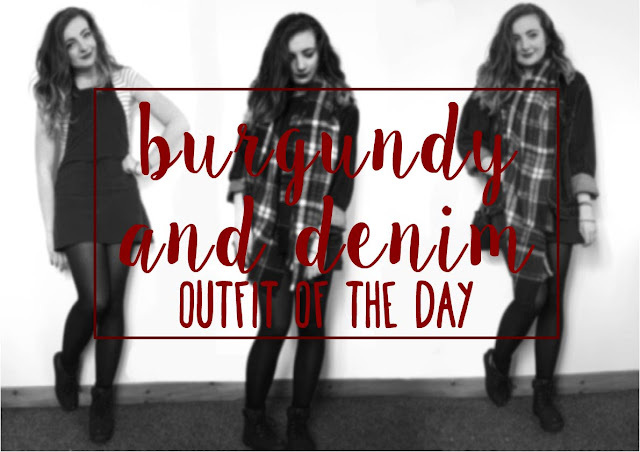 Anyway, one of my new years resolutions is to be more involved in my blog again, and what better way to start that than with a good old fashioned outfit of the day post! Here are all the pics. It comes as no surprise to anyone that I love burgundy. I also love oversized things, so pairing this pinafore with my trusty denim jacket was a no brainer. I got this denim jacket from eBay for £20, it was such a bargain! It's a men's medium so it's huge, but that makes it so comfy and warm, I wear it to death. With the pinafore I bought it on a whim, not thinking i'd get much wear out of it cause I felt like it would be kind of childish, but I LOVE it. It was a steal at only £8 from Primark. I like to think this outfit embodies a 'grunge' style, at least, that's the aesthetic i'm going for! But if not, it's comfortable, and that's the main thing!